Post-processing in AA3, d.framed, mild ddp. 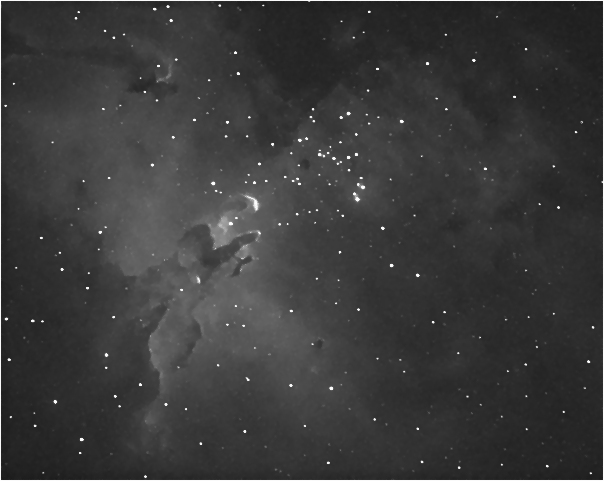 Rising to a maximum of only 28° above the horizon , the moon was also about 15° away when the above subframes were shot, I finally imaged M16 and the Eagle Nebula. Very happy with this shot and maybe a a bit shy on the number of subframes, at the next opportunity I will image again without the focal reducer. 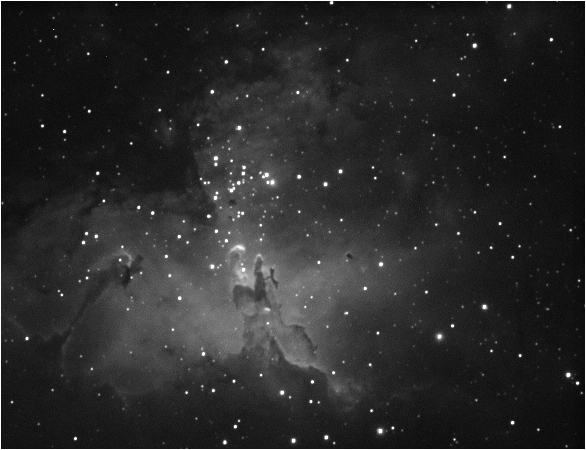 Another image of the Eagle Nebula without the focal reducer this time , again very low on the horizon with distant ground haze affecting the number of effective subframes.